I'm stuck, looked up a playthrough and following it didn't help, I got kicked from the other synagogue and got the other rabbi's card, and now I'm at the pub and talking to Joe DeMarco but no matter how many times I talk to him it's not making him lead me outside to fight (according to the walkthrough). What should I do? 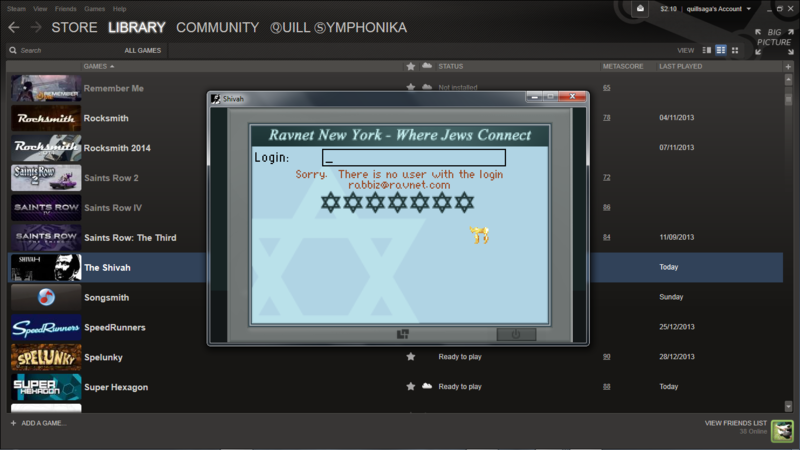 Did you manage to log onto the other rabbi's email account? If you look at his card, it will give you a clue. Can't even log back into my own account. Seems I've run into these glitches your games are well known for? Ah. Try typing just the login name, not the full email address. rabbiz@ravnet.com would just be "rabbiz" for example. Alright, thanks a lot for the swift responses! Though strangely enough about 1/5 times when I type the full address it lets me in, because I've managed to get the clue "PET" or was it "PETS" once or twice just didn't know how to get back to that same screen! And each time I only typed the full address.